The Uppity Improv Society proudly partnered with the United Way Leeds and Grenville again this year. Under the leadership of Dr. Andrew Jordan, the theme of this year's Docs and Diamonds Gala fundraiser was the hit NBC TV show, The Office. 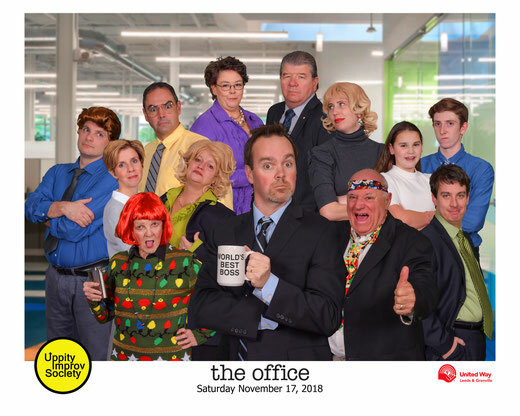 Our cast with special appearances by local celebrities including Police Chief Scott Fraser, Brockville's 2018 Citizen of the Year Dan Thompson and Dr. Andy himself took us back to Scranton on the night of Pam and Jim's 10th Anniversary Party. This sold out show was a huge success for the fundraising campaign and we were thrilled to be a part of it.